DWG To Image Converter MX allows you convert DWG to Image, DXF to image and DWF to raster image directly without need of AutoCAD, it converts DWG, DXF and DWF files into raster image files, quick and easily.Support AutoCAD 2016 now. Acme DWG To Image Converter allows you convert DWG to Image, DXF to image and DWF to raster image directly without need of AutoCAD, it converts DWG, DXF and DWF files into raster image files, quick and easily.Supports 3d object hidden line removal. AcroPlot Pro™ is the next generation in digital CAD conversion software. AcroPlot Pro™ is the next generation in digital CAD conversion software. With the capability to convert an extensive list of file formats to PDF, Dwf, and images AcroPlot Pro will serve as a nexus for CAD Professionals everywhere. Input Formats: DWG, DXF, DOC, TXT, RTF, XLS, Bmp, CALS, JPG, GIF, TIFF, PLT and more. View, print, zoom, pan, rotate & measure 2D/3D Cad Files (DWG, DXF, DWF,DXB). Convert between various document types (DXF, DWG, DWF, & DXB) and versions (r12, r13, r14, AutoCAD 2000, 2004, 2006, 2007) and export to images (JPEG, BMP), & PDF files. DwgConverter is a batch converter tool that converts DWG/DXF R2.5 ~ R2006 files to Bmp, JPG, TIFF, GIF, PNG, EMF and WMF,SVG,Dwf images without the need of AutoCAD. It can also convert DWG/DXF files to vectory PDF file.And supports AutoCAD DWG/DXF File Version Conversion. Amethyst DWF-2-DWG is a powerful Windows program that enables you to quickly and easily batch convert Design Web Format (DWF) files to AutoCAD DWG and DXF. Amethyst DWG-2-DWF is a powerful Windows program that enables you to quickly and easily batch convert drawings to the Autodesk Design Web Format (DWF). AutoDWG DWG DWF Converter a batch converter converts DWG/DXF to DWF without need of AutoCAD. It supports AutoCAD version R9 to latest version AutoCAD 2011. DWF to DWG Converter is an AutoCAD Addin allows you to import DWF file into AutoCAD. It supports AutoCAD full version R14 thru 2011. DWF to DWG Importer(a.k.a. DWG to DWF Converter) is an AutoCAD Addin let you import DWF file into AutoCAD. It supports AutoCAD 2006, 2005, 2004, 2002, 2000(i) and R14. AutoDWG DWG DWF Converter a batch converter converts DWG/DXF to DWF without need of AutoCAD. 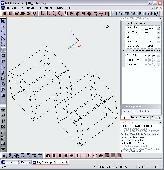 It supports AutoCAD version R9 to latest version AutoCAD 2007. Convert thousands of DWG files to DXF files in one easy step. DWF to DWG Converter Pro help you convert dwf to dwg back. support almost any autocad version from R2. 5 to the latest version 2006. Pro version is a stand-alone application that needn't of AutoCAD, and Pro Version supports batch conversion. .
BMP Picture Maker can convert many picture formats to BMP file with some useful parameters changed. It resizes the original picture's width or height, and has a convenient proportional calculator to keep aspect ratio on a fly.